ESSENCE - MOVIN'ON & KONAD - Tina Rakuš. Today I'm wearing Essence - Movin' on nail polish (2 coats). 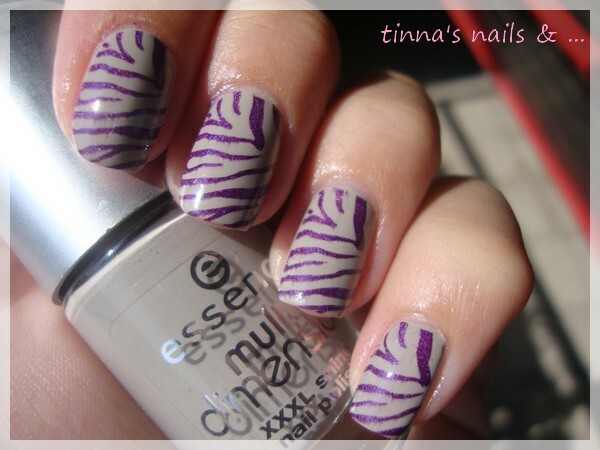 I added zebra pattern from Konad m57 with Color Clob - Wild at heart nail polish. And some good news: my thesis is ended :D yeey, only presentation left (on friday)..